Category: Hardware. Tags: cooloing, fan. My graphic card felt hot to the touch, it needed some cooling. This is not an advanced card, so there is no on card fan. 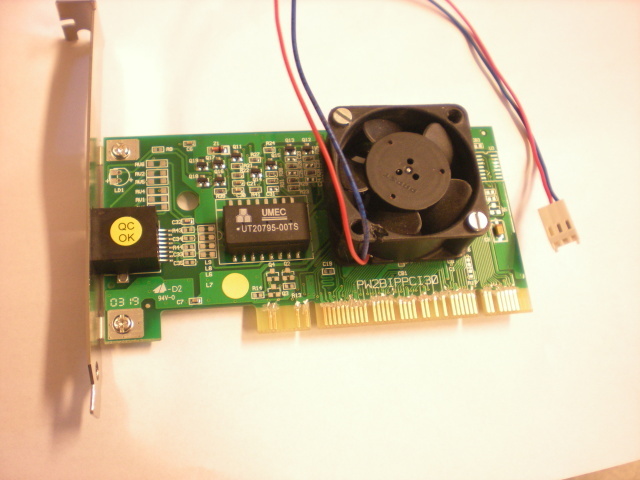 I took an old PCI network card I had no more use for and drilled/cur some holes: A big one for the fan and smaller ones for bolts. I mounted the fan on the board and put the card into a PCI sot just below the graphic card. Now this fan blows steadily on to the cooling fin of the graphic card. My fingers can now barely feel any rised temperarure on the cooling fin, even the other side of the card stays cool. 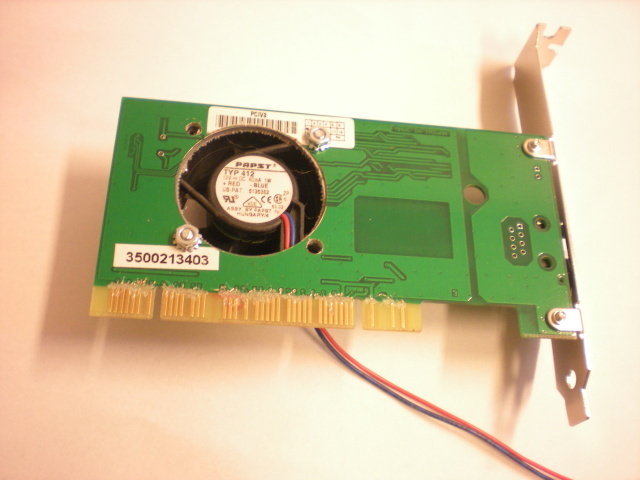 This card was functional, but to avoid the card taking up a slot on the PCI bus I cut all signals from the board finger connectors on both sides. In this way even a malfunctioning card can be used.